D’Anca’s Auto Collision, Auto Body and Classic Car Restorations in Palm Springs is the premier auto body repair source in the Coachella Valley. 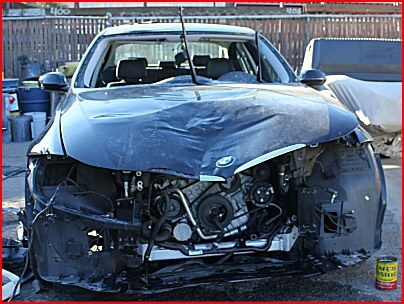 We understand that auto body damage can be distressing, disruptive and time-consuming. Our shop is equipped with the latest in collision repair technology to achieve optimum results in the shortest period of time possible. Our hassle free service and written warranties underscore our commitment to putting your vehicle back to its perfect and original condition on your time schedule. D’Anca’s understands that you have many choices in auto body shops so we do not take your business for granted. Although we possess all the top credentials in the industry, we also understand that having a local, hometown shop that you can trust in an emergency is just as important. D’Anca’s is a place where everybody knows your name and welcomes you back anytime you need a service from our menu of choices. Our customers are also our friends and neighbors and we believe in treating them that way. Our state-of-the-art equipment and expertly trained automobile craftsman know how to restore and repair the damage on your vehicle to perfection. If you have been in an accident we know that repair down time can be all the more critical. We are sensitive to your needs and situation, so we will work with your insurance carrier to get things accomplished quickly and easily so that you can get back to your best life as soon as possible. D’Anca’s understands that you have better things to do than sit around a body shop waiting for your vehicle.Trust your car to the people who care, your hometown auto body shop, D’Anca’s of Palm Springs.